We’ve packaged our spectrometers, accessories and software in convenient bundles to meet your most frequent measurement needs. Choose from standard and discounted options for absorbance, fluorescence, diffuse reflectance and plasma measurements. 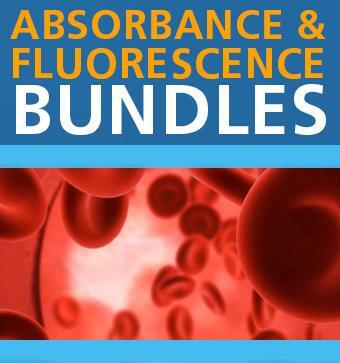 Each bundle has everything you need for cuvette-based UV-Vis absorbance or fluorescence measurements. Choose one of our Flame spectrometer-based setups or upgrade to the applicable QE Pro spectrometer option and save 20% on retail pricing! 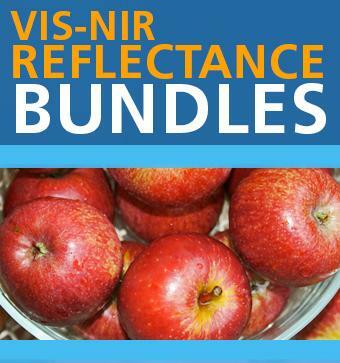 Each reflectance option includes two spectrometers for extended Vis-NIR coverage and utilizes a 45° diffuse reflectance probe with integrated tungsten halogen light source. Upgrade to the NIRQuest512 spectrometer for especially robust performance in the 900-1700 nm region. 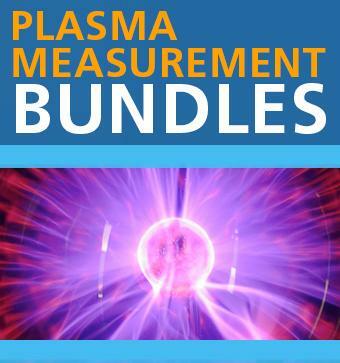 If you need to measure plasma emission spectra, these bundle options are convenient, robust and easy to configure. Choose from the Flame-based spectrometer option, or for better optical resolution, select the HR2000+ high-resolution spectrometer bundle.